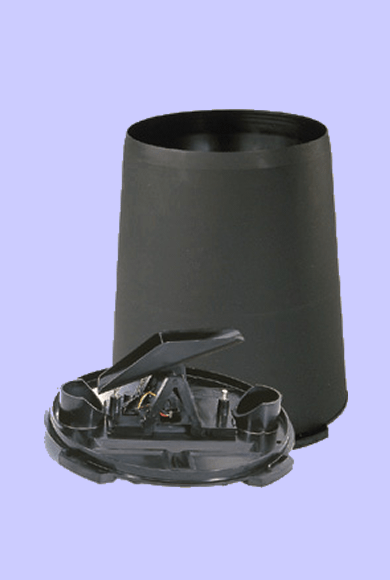 Rainfall is measured by a tipping bucket rain collector. Each time a small bucket in the collector is filled, it tips the water out and is replaced by an empty bucket. Each bucket of the tipping bucket rain collector holds exactly 0.01" of rainfall. The instrument records the number of tips and calculates the amount of rainfall over a measured period of time. 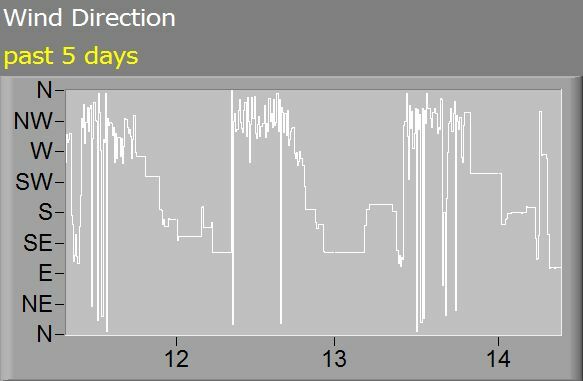 For irrigation purposes, annual precipitation is often measured from September 1st to August 31st. This annual cycle is attuned to the rainfall cycle of the Pacific Northwest where heavy rains begin in late September. On average, Ashland receives 19.28" of rainfall per year. The minimum record was set in 1959 (10.22") and the maximum record occurred in 1983 (30.13"). 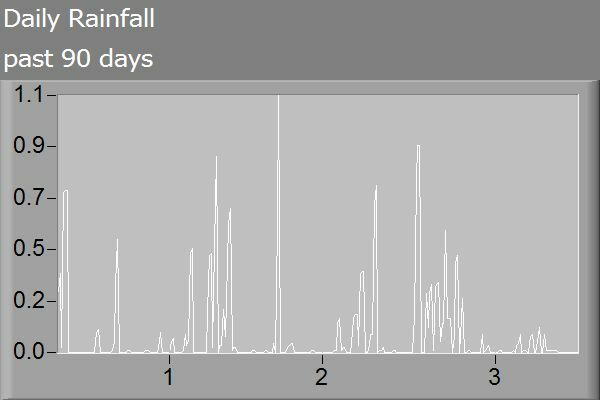 Rainfall data is important, especially for agricultural reasons in order to know when or if supplemental irrigation is needed. In Ashland, the months of June through September each receive less than an inch of rain on average. A record amount of monthly rain (8.37") fell in Ashland in December 1995. 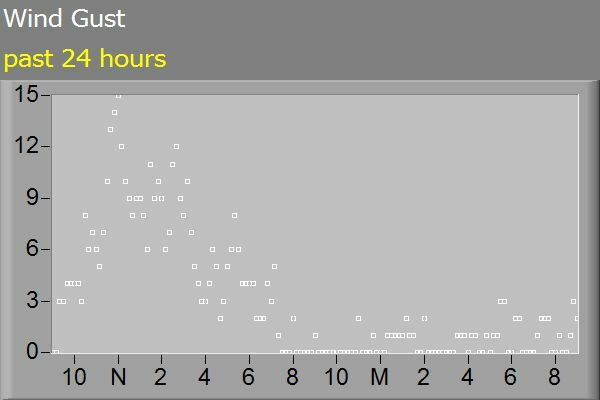 A day of rain is measured between midnight and midnight. Snowfall is measured as it melts to water. Ten inches of snow is equal to approximately one inch of rain. In this region, anything over 5" of moisture in a 24-hour period could be record setting. 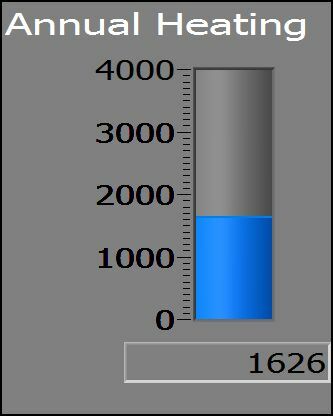 In an average year, Ashland has 106 days of measurable precipitation. By comparison, Portland has 151 days of measurable precipitation; Sacramento has 63. During the summer, very little rain falls in our valley. Fortunately, southern Oregon is home to many beautiful drought-tolerant native plants. Every one of these plants you add to your yard can help you reduce your water bill. 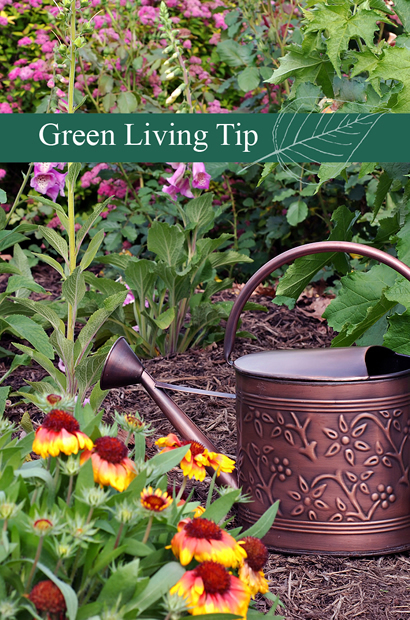 Mulch your plants to keep the soil moist. Supplement your irrigation with a rain catchment system. Evapotranspiration (ET) is the combined effect of evaporation from the soil and transpiration from plant leaves. 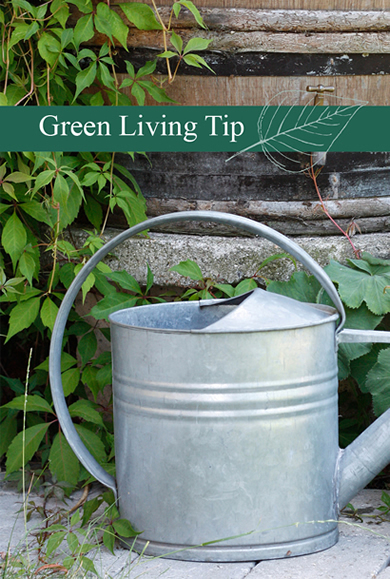 The amount of water your garden requires should equal the ET value. To save money on your irrigation bill and help conserve water, check the ET value to avoid over-watering, or purchase an ET Manager for your irrigation system. 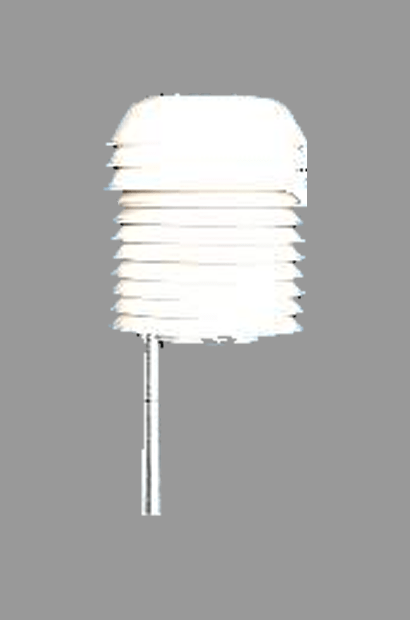 This weather station contains two pyranometers – one measures solar radiation and the other measures direct and diffuse UV radiation. Both pyranometers have sensors that absorb solar radiation. This radiation is converted to heat. 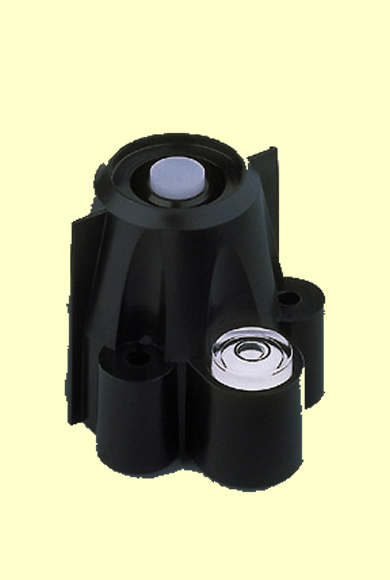 The heat of the sensor generates a voltage output signal proportional to the solar radiation. 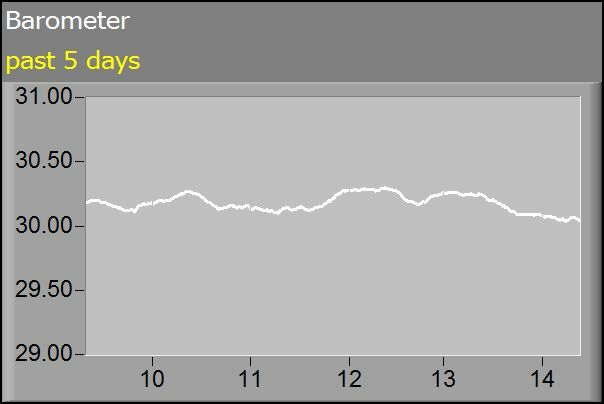 On a clear summer day, the intensity of solar radiation rises from zero at sunrise to about 1000 watts per square meter at noon, then gradually declines to zero at sunset. 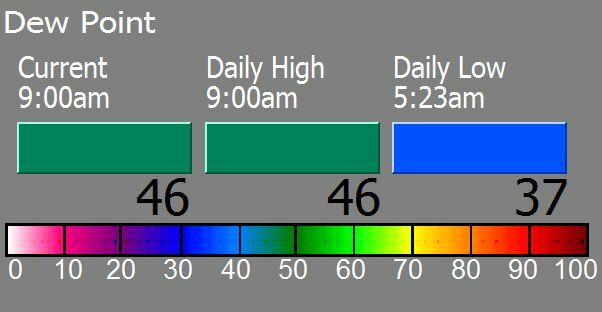 On a cloudy day, the solar radiation profile is more complicated and reflects the presence and thickness of clouds. 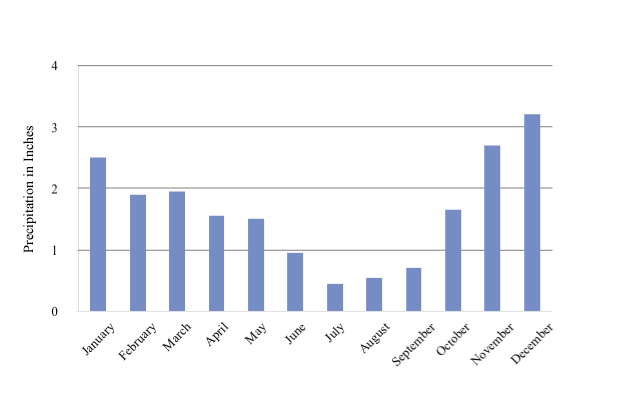 Cloud cover averages 86% in December as opposed to 21% in July. Ultraviolet (UV) radiation is usually converted to a UV-index value ranging from 0 at sunrise and sunset to 10 or higher at noon in late spring and early summer. Over-exposure to UV radiation can lead to skin cancer. For this reason, people are wise to avoid too much exposure during mid-day hours when the UV intensity is at its highest. 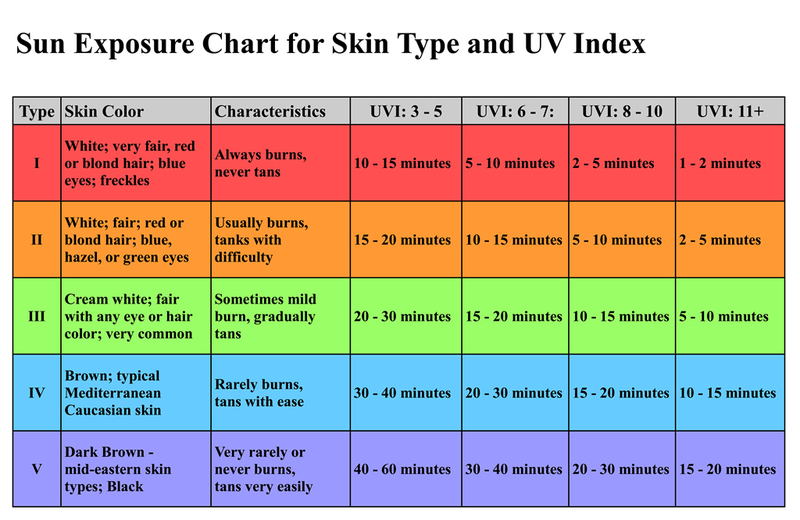 Click here for information on UV exposure for your skin type. 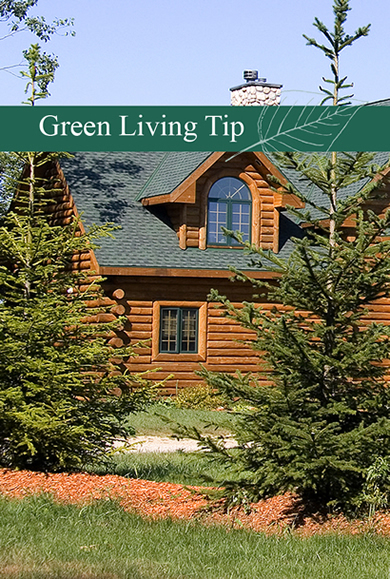 Plant deciduous trees on the south side of your home. This will allow for more sun in the winter and ample shade in the summer. 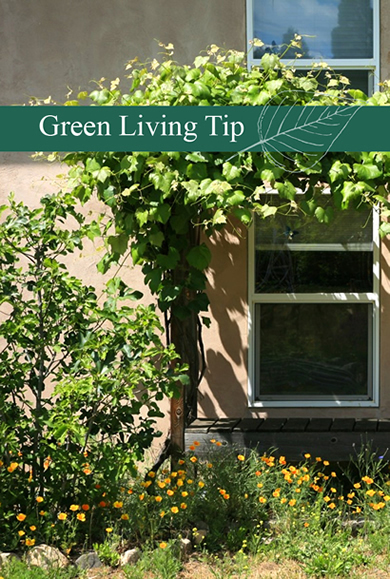 Consider installing an awning or arbor above south-facing windows to keep your home cooler in the summer. Place solar panels on your roof for an easy and efficient way to capture solar radiation for hot water and electrical needs. 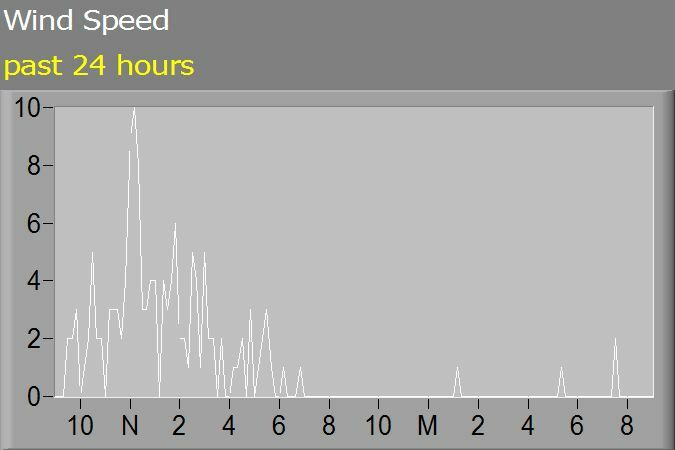 Because winds near the surface are often gusty, both the average wind speed over a period of time (usually one minute) and the peak wind speed that the anemometer records within that time period are measured and recorded. the Beaufort scale which is based on people’s observation of specifically defined wind effects on the sea or trees. Record wind speeds have topped 200 mph. Wind speed, which is influenced by pressure gradients, jet streams and local weather conditions, can affect aircraft operations, construction projects and even the growth and metabolism rate of many plant species. The wind direction is the direction from which the wind is blowing. 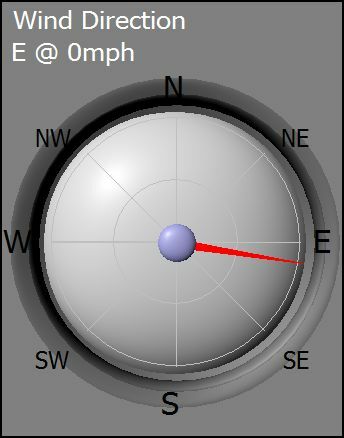 For example, a NW wind is blowing from the NW toward the SE. 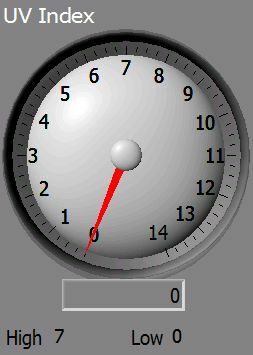 Wind directions are recorded to the nearest of the sixteen points of the compass. In the Rogue Valley, winds are influenced by the valley’s geographic orientation. As winds blow up or down the valley, the data will reflect winds blowing predominantly from the southeast or the northwest. During intense winter storms in the Rogue Valley, wind gusts in excess of 60 mph have occurred. Wind chill is the apparent air temperature as it is felt on exposed skin. This temperature is also sometimes expressed as a "feels like" temperature. The faster the wind speed, the quicker the body cools. As the air temperature falls, the chilling effect of any wind that is present increases. Because wind directly affects the evapotranspiration (ET) rate, you can conserve water during the summer by planting a wind break. Atmospheric pressure is measured with an aneroid barometer that expands or contracts as atmospheric pressure changes. 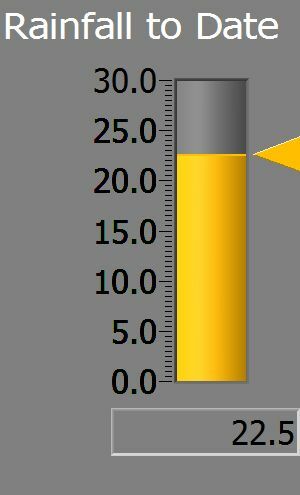 Atmospheric pressure is a key parameter used for weather forecasting. Measuring the atmospheric pressure helps to locate surface troughs, high pressure systems, and frontal boundaries. The average (or standard) pressure at sea level measures 29.29 inches of mercury. Atmospheric pressure decreases 4% per 1000 feet of elevation; it is only about 21 inches of mercury at an elevation of 10,000 feet. 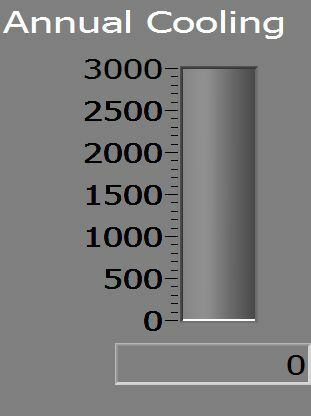 Meteorologists convert the measured atmospheric pressure at a weather station, such as Medford (1300 feet above sea level), to its equivalent sea level value. If the barometer begins a steep and rapid descent, there is a good chance a storm is approaching; the faster the barometer falls, the windier it will be. 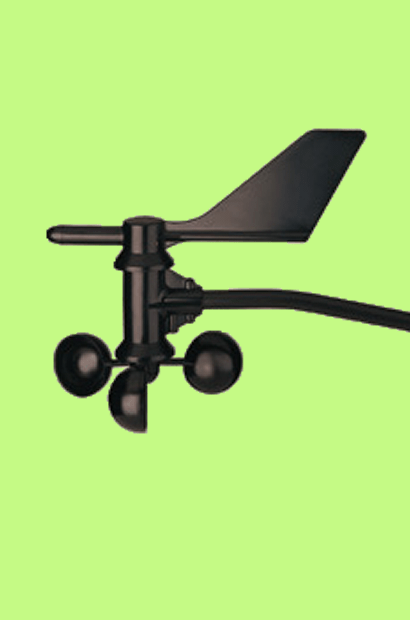 A rapidly falling barometer can indicate an approaching summer rainstorm. This is a good time to check the weather forecast to see if you might be able to shut off your irrigation for awhile. A summer rainstorm is also a good opportunity to have your rain catchment system refilled. Check to be sure it’s in good working order. The temperature sensor is a precision platinum wire thermistor whose electrical resistance is a function of air temperature. To guarantee accurate readings, it is shielded from direct sunlight and other sources of reflected or radiated heat. Temperature is measured in degrees Fahrenheit (°F) in the United States. The Fahrenheit scale has a freezing point at 32°F and a boiling point at 212°F. In Ashland, the frost-free growing season averages about 160 days. The last spring frost typically takes place in early May and the first fall freeze in mid-October. In Ashland, a record low of -4° F was recorded in 1972. The record high temperature of 108° F was set in 1981. Heating and cooling degree days are measurements of the demand for energy needed to heat or cool a home or business. 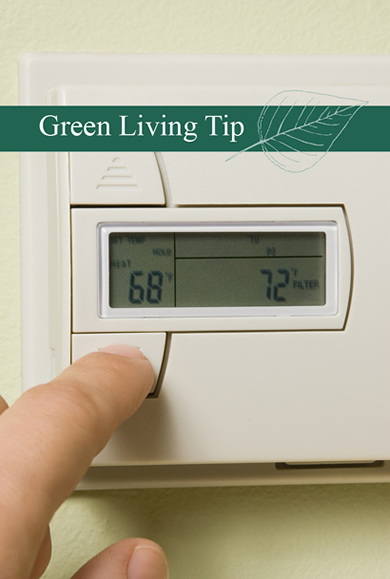 By setting your thermostat lower in winter and higher in summer, you can save significant energy and expense. 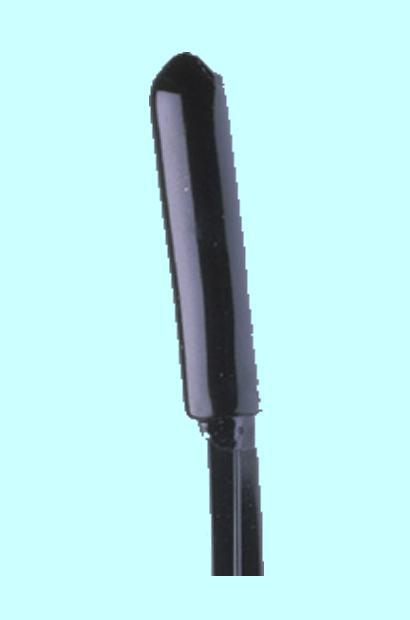 Humidity is measured by an electrical capacitance device sensitive to atmospheric moisture. 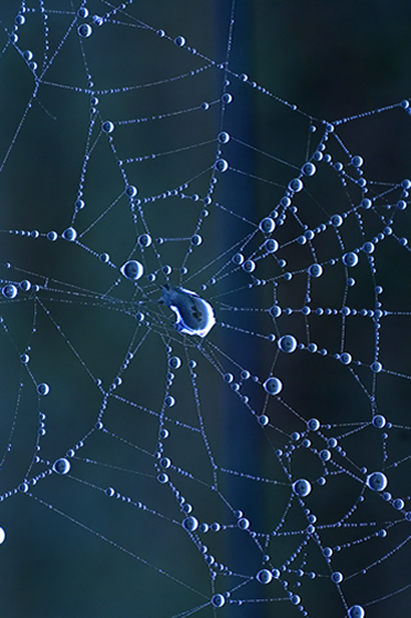 Relative humidity is the ratio of the amount of water vapor present in the air to the amount that would be present if the air were saturated (100%). 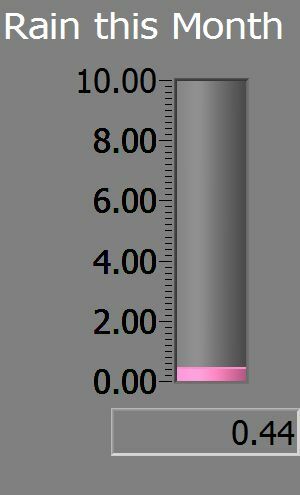 At ground level, 100% relative humidity means dew and/or fog will form if the temperature drops below this point. 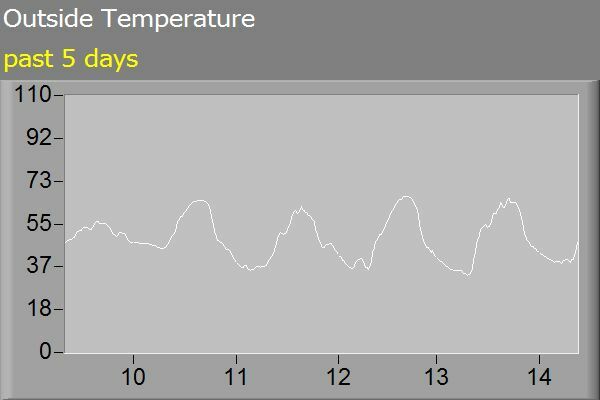 Ashland’s low humidity levels in the summer help to make you feel relatively comfortable in spite of the high temperatures. 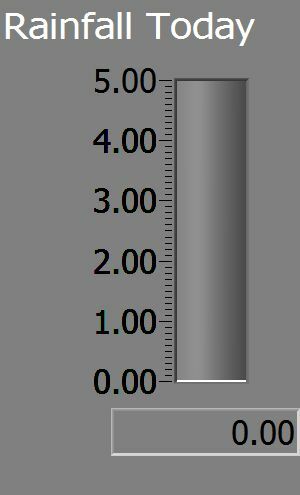 The dew point is the temperature at which condensation of the water vapor in the air will start to occur when the air is cooled, such as what happens overnight in fair weather. The ability of air to hold water vapor decreases as temperature decreases. The dew point temperature can be calculated from knowing the air temperature and the relative humidity. 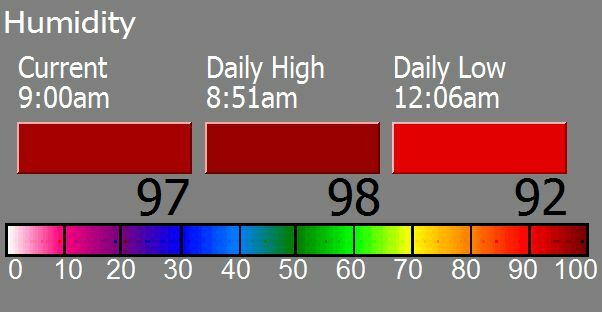 Dew point is useful in forecasting weather. 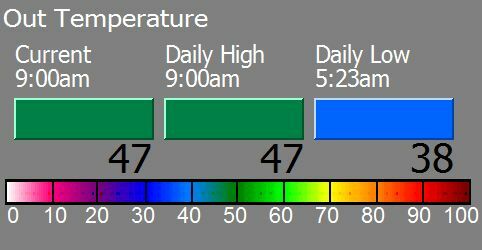 50 - 59 °F range. Anything below that will feel dry, while anything above that will feel uncomfortably humid. 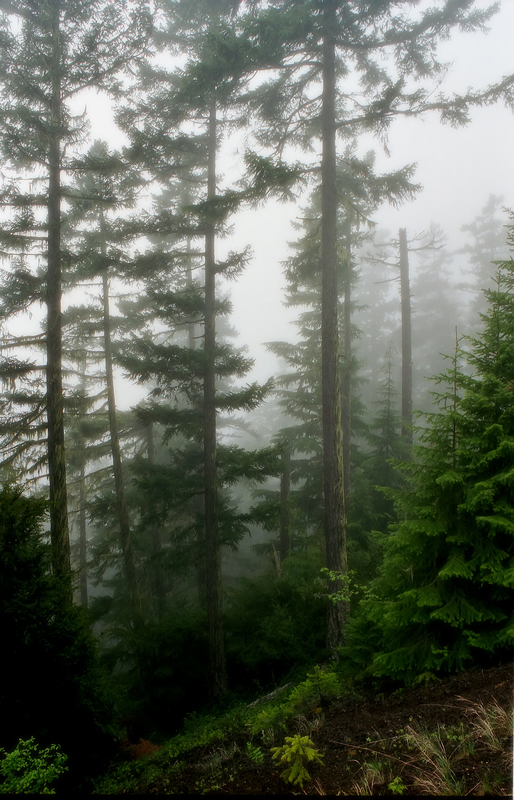 Dew points higher than 80 °F can be deadly for those with asthma-related illnesses. In summer, save 5% on your air conditioning bill by setting your thermostat at or above 78°F. In winter, keep your thermostat at or below 65°F for similar savings.